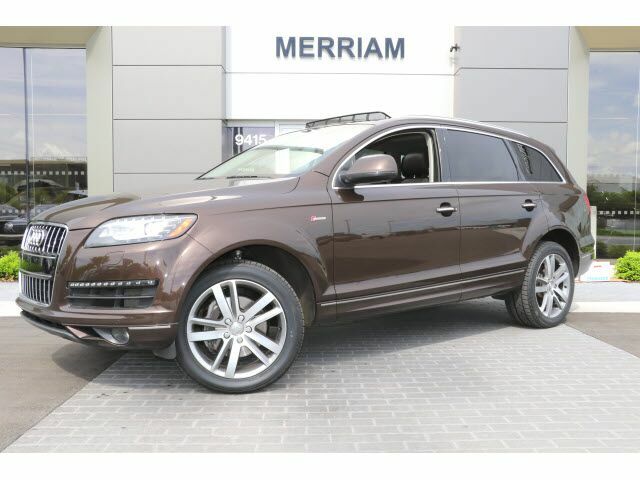 2015 Audi Q7 3.0T quattro in Teak Brown Metallic over Espresso Interior. Clean Inside and Out and Loaded with options! Premium Plus Package: Navigation with Voice Control, Parking System Plus with Rearview Camera, Audi Connect with Online Services, Bose Sound System, Audi Advanced Key, Power Driver Seat and Steering Column with Memory. Warm Weather Package: Deep-tint Panoramic Sunroof, Window Shades for Rear Doors and Tailgate, Four Zone Climate Control. Towing Package, Cold Weather Package: Heated Front and Rear Seats, Heated Steering Wheel and More! Please Contact Brian Stacy 1-855-979-0255 to Test Drive Today! Aristocrat Motors, Kansas City's premier luxury dealer strives for the highest levels of customer service. Voted "Best in Business" by the readers of Ingram's magazine, our customers are our number one priority.